Is it Christmas season again and you're doing last minute shopping on a very tight budget? Are classes about to start again and you're looking for cheap but good quality uniforms, shoes, school supplies, and bags for the kids? Is a big wedding coming up and you need to purchase wholesale textile, decorations, and giveaways at a bargain price? Do you have some savings and want to splurge on clothes, bags, appliances, gadgets and as many items as you want? Then we only have one answer for you: Divisoria. Divisoria is known as the central all-around market and one-stop shop in the Philippines. Situated at the heart of the capital, Manila, Divisoria has been known for its retail and wholesale stores, tiangges, midnight bazaars, street markets, shopping malls and food stalls that offer items at low, low prices. With items ranging from housewares, clothing, shoes, dry and wet goods, fabrics, and anything "under the sun" like pirated media materials (shhh! ), Divisoria (or "Divi" to many) has been the default destination for those who want to make the most out of every peso spent without compromising value and quality. 1. 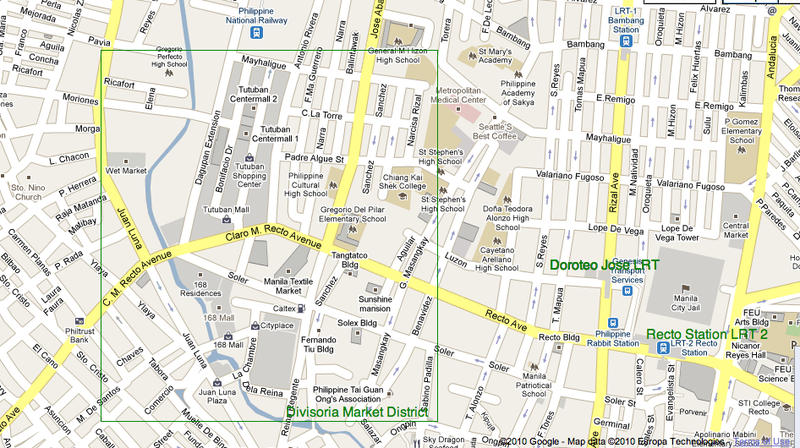 Divisoria Mall - located between Tabora and Sto. Cristo streets of Binondo area. This is an airconditioned mall with three floors and foodcourt on the third floor. Products as small as gift items can be bought here at wholesale. 2. Tutuban Center - formerly a PNR central station, this big area was converted to an air-conditioned mall in the early 90's and since then has housed bargain and wholesale stores. Robinson's Department Store and Supermarket can be found here as well as the Prime Block Mall. The original malls are Tutuban Mall, Centermall 1 and Centermall 2. 4. Meisic Mall - This mall can be found beside 168 Mall at the corner of Felipe II and Reina Regente. The mall is known to offer entertainment performances to those who are in the foodcourt. 5. All the sidestreets will cater and present different items for sale at very cheap price. Some famous streets are: Ylaya for sewing needs (such as buttons, textiles, etc), Tabora for baskets, handicrafts, and kitchenwares, Masangkay for automotive parts and supplies, Dagupan for rice dealers and distributors. 6. Binondo district and Ongpin, known for being the Chinese center of Manila, are south of the area and can be accessed even by walking. Other than Chinatown, streets like Tomas Pinpin (street lined up with furnitures) and Nueva (a thriving shoe haven) is within the area. 7. Quaipo is also nearby; other "best find" streets can be found here. 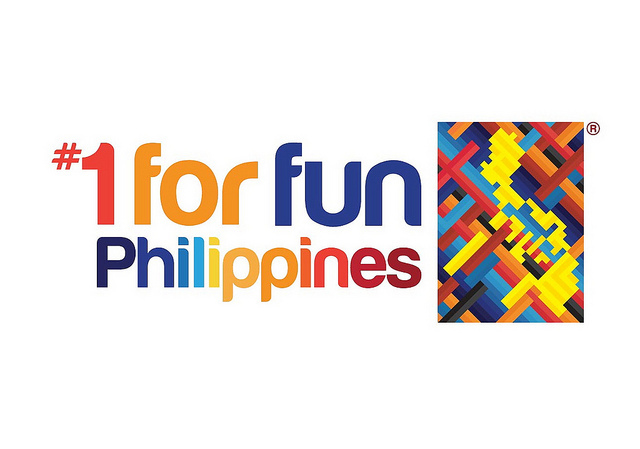 Raon (now known as Gonzalo Puyat is known for electronic supplies) and F. Hidalgo (known for its photography/camera equipments shops selling lower than market price visited even by the country's best) are one of those few. *Remember to take note that Divisoria's main landmark streets are Juan Luna Street, Soler Street, and Claro M. Recto Avenue. For traveling tips and safety guides, refer to the mentioned section below the map. Option 2. From Monumento, take an LRT 1 Yellow Line going to Taft and get down at Doroteo Jose station, walk towards Claro M. Recto Avenue and you can either ride a jeepney to Divisoria or just walk a little bit and you'll see 168 Mall and Tutuban. Option 7. From Ortigas or Robinson's Galleria, or Greenhills, there are buses (G-Liner) bound for Quiapo, you can also ride this and asked to be dropped at Divisoria. For private vehicles, from the south of Manila you can take Taft Avenue or Mabini and cross via (1) McArthur Bridge and follow Rizal Avenue until you reach Recto, turn left and you will reach Divisoria (Tutuban is on your left and 168 Mall is accessible via a left turn on Roman) or (2) Jones Bridge and follow the Juan Luna route until you arrive at Divisoria. If you are coming from the north of Manila, you can take Rizal Avenue or Juan Luna (which is a closer route to Divisoria). From the east of Manila, you can take Espana or Magsaysay - Legarda to reach Recto. Parking is available outside 168 Mall and along the sidestreets. Of course, you can ride a taxicab from any area in the Metro and just mention to the driver to drop you off "Divisoria", "168 Mall", or "Tutuban". The route might seem hard for them so a good compromise would be anywhere close by along Recto or Juan Luna. 5. If you get lost, don't hesitate to ask around - for sure a lot of shoppers would point you to the right direction and would even recommend where to exactly go for the items that you are looking for. 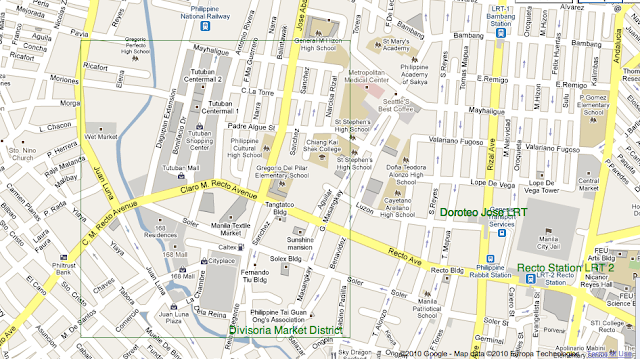 113 Responses to "How To Get To Divisoria?" Remove your floating share frame... so annoying. i cant read clearly. anong hotel malapit sa divisoria? ano mas masarap mamimili sa 168 or divisoria mall? May mga gel nail polish ba sa divisoria? Where can you buy fresh fish in Divisoria? Meron pa bang Fist Market doon? how much po yung taxi fare from ermita to 168 mall? where can I buy white shirts with lower prices..
from lipa to divisoria ? anuh po sasakyan ko ? From mrt guadalupe san po ako baba sa taft po ba?tapos lipat ba ako lrt1 and then ano next babaan ko po hanggang makarating sa divisoria?ayoko kasing magjeep kase sobrang tagal bago makadating sa divisoria. hello. from san juan city to divisoria po ano pong sasakyan? Thank you for the tips,we'll go there before December. para naman makatipid. were po makakabili ng para sa party needs? ...meron po ba dun kulambo na hindi pa gawa? I mean ung naka rolyo pa..salamat po! What about from the NAIA to divisoria? Papano pumunta ng divisoria? Manggagaling ako sa pampanga anong bus sasakyan ko? Saan po safe mag park malapit sa divisoria? paano po kung from las pinas pa manggagaling saan po sasakay? December 27, 2015 at 12:45 AM This comment has been removed by the author. Sakay po kayo ng bus na byaheng avenida.. pagdating sa terminal sa avenida sakay ng jeep going divisoria..
san po b pwede makabili dun ng file binder na orange 3 ring binder long? Saan po ba nakakabili ng replica rolex watch sa divisoria? you'll obtain the main download link of Mobdro with their requirements mobdroappguide The only thing you require is a Direct Mobdro apk download link. san po pwede bumili ng mga kids wear at mga souvenirs na wholesale? Paano pumunta divisoria. From sm lipa? Papaano po pumunta sa Divisoria pag Galing po Ng Santa Maria Bulacan Ano po Sasakyan KO pa help nmn po ASAP..thanks. Anong Bus O jeep Po Sasakyan KO po? ?.salamat po sa makakasagot. From imus po cavite to divisoria paano po? Iyong pinakambilis at convenient po sana sa commuter. Paano po pumunta sa divisoria from apalit pampanga. At magkano po maggagastos ko sa pamasahe . The scene at Sal Castro Middle School on campus Belmont High near DTLA. LAPD confirms two people shot by student inside of a classroom. Shooter in custody, vote for pedro shirt a girl believed to be a student. Think I was just starting to feel it in practice. I was getting the timing and creating great chemistry with the receivers, said Trubisky on why the offense xxxtentacion shirt broke out this week. I have time, just like I do in practice the O line made it happen for me today, giving me time, and I was seeing it and putting the ball exactly where I wanted it to go. He was targeted because of his involvement in an organization that aided the poor. \"It so angered me, I wanted to put [McCarthy] in his spot,\" Ted tells Lesley Stahl. \t If American tycoon Howard Hughes asked you to move to Europe with two hours\u0027 notice, would you? Find out what Henry Tornell decided to do when Hughes asked him to drop everything. Ogunyemiherself knows quite a bit about how advertising works. ALondon native who for many years lived in Atlanta, Ogunyemi joker shirt graduated from Emory University with a degree in texas t shirts psychology. how to design a shirt She earned an MBA and now works for a digital marketing agency in London, according to her company bio.